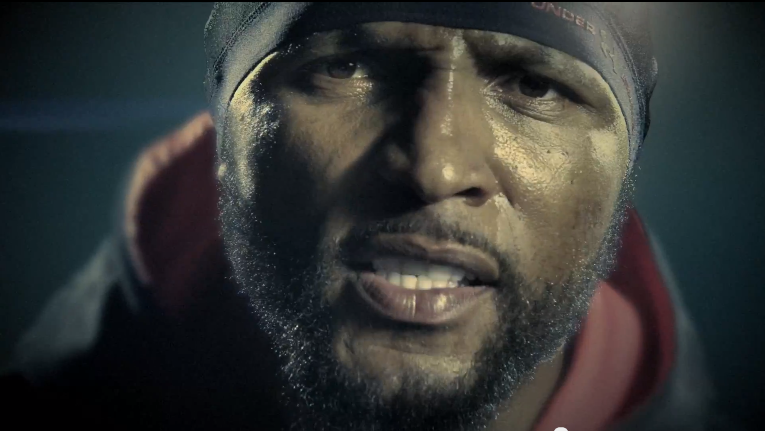 Here’s a frame of the footage I shot of Ray Lewis for Under Armour’s footware spot that ran last year. The spot was pretty much finished when they decided they needed to have Ray in the spot. He’s intense, even when he whispers. Watch the full spot here. Filmed with Producer’s Video, Baltimore, MD.